History: 70 year old male with shortness of breath and cough. 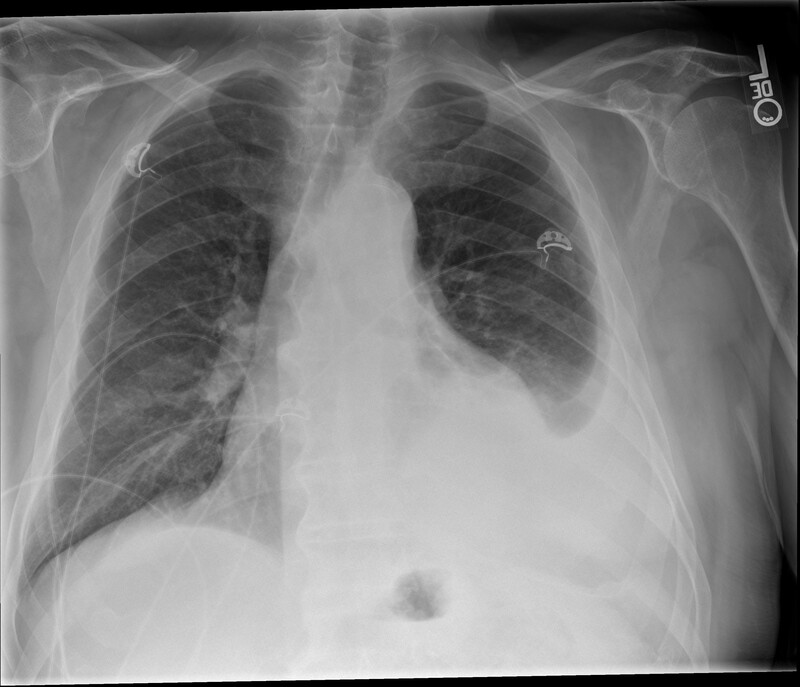 Single frontal chest radiograph demonstrates a moderate sized left pleural effusion, enlarged cardiac silhouette and possible left lower lung consolidation. The differential diagnosis for unilateral pleural effusion includes parapneumonic effusion, neoplasms such as mesothelioma, primary lung cancer, pleural metastases, lymphoma, other entities such as cirrhosis, pancreatitis, and trauma. This patient had a parapneumonic effusion.